Generally I like to set up customers Qs. This way I can help them figure out what they really want and make sure it all set up correctly and tied to the correct party. This is the letter I sent to one of my customers who wanted more info. You can view this letter as a Google document here. 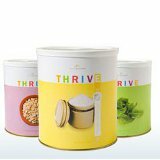 You requested more information on the Thrive Life Q and developing a plan for your family’s food storage. Thrive Life wants to make it easy to build your food storage and we offer two tools to help you. The planner is a free tool that helps you develop a food storage plan for your family. It only takes about 5 minutes to set up a plan that is personalized to your family needs. Think of the Thrive Life Q as your Netflix Queue, but for food storage. You create a list of products (or use the planner to create one) you would like in your food storage and set your maximum monthly budget. The Q system does the work to make sure you build up your home store over time. A week before your items are set to ship you will receive an e-mail telling you what is coming so you can make any changes. The Q takes the hassle out of shopping, so sit back, relax, and let THRIVE food come to your door. 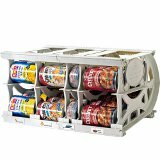 Check out how easy it is to build your food storage over time while staying within a budget! I know you want your Q to count toward S......’s party. You can set it up online and when your first order processed I’ll “tie” it to her party, or when you have looked at it give me a call (435-535-1470) and I’ll help you set it up. Earlier today I had a consultant ask some questions about “the Emergency Cube” I love it when customers buy large packages like the cube but it is tricky to find all the information on it. · The package is named “emergency cube” because it come on a pallet wrapped in shrink wrap (in boxes) and it forma a huge cube. · 378 #10 cans -- 63 boxes of food -- 30,000 servings. · If you were to buy everything individually at party price it would cost $5017.09 (that does not include the Sausage TVP or the Apple Slices). · The emergency cube contains Apple Slices and Sausage TVP, those items are unavailable for purchase outside of a package. o Shelf Life 5 years unopened 1 year opened. o Complimentary Items—Berry Lemonade pack Retail $60.58 Q Club $52.99 includes: Classic Lemonade, FD Strawberries, FD Raspberries, FD Blueberries. o My Review: As you know, as a part of the product advisory board I get to sample potential new products. I tried the lemonade earlier this spring. I made it exactly according to the directions. This lemonade is unsweetened so you add your own sweetener. I used regular white sugar in the proportions recommended. It was great. It was so good I almost didn't share it with my family. My family likes our lemonade a tart so I’m thinking we will be using a little less sugar in the future. I invited my “drink snob” brother over to taste the lemonade and he said that he really liked it. My husband and I were so sad when we finished the sample we were given. This is one product I’m super excited about. I’ve already added it to this month’s Q. I think you’ll like it too. *The All American Sun Oven will hold regular sized baking pans. This is a huge improvement over the older version. (1 gallon per hour) with its three 0.2 micron ceramic filters. bags are 90.5” long x 40” wide (Kid Grizzly is 60” x 30”).